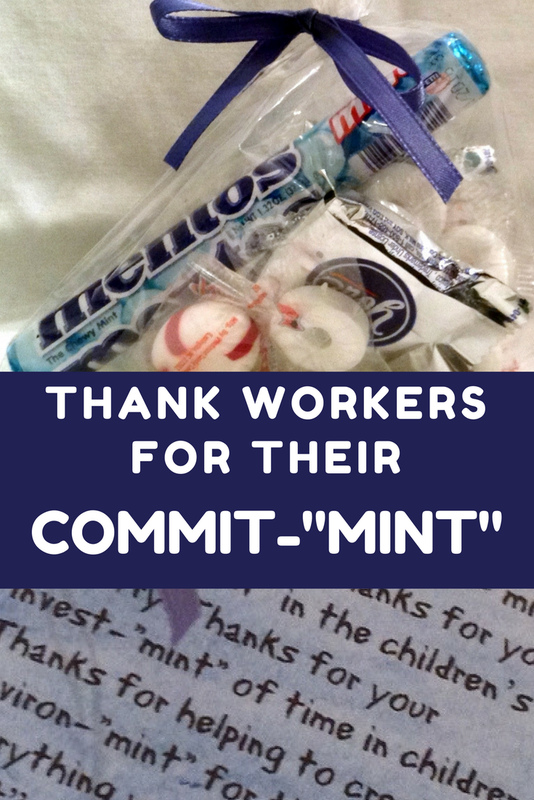 Kidfrugal: Thanks for Your Commit-"mint"
I saw this idea for appreciating workers on Pinterest and tweaked it a little. You can find the original posts here and here. Basically you purchase different types of mints. York Peppermint Pattys, Mentos, Andes, Lifesaver mints, peppermint gum, hard peppermints and so on. ministry director, to my workers. 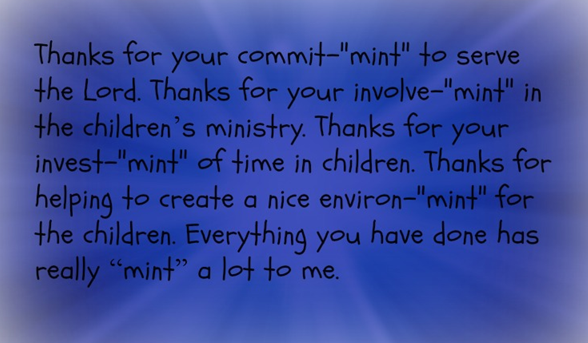 Thanks for your commit-"mint" to serve the Lord. Thanks for you invest-"mint" of time in children. Thanks for helping to create a nice environ-"mint" for the children.